Fifty Emiratis have had development assignments at ExxonMobil’s offices around the world over the past 10 years, Christian G Lenoble, president and UAE lead country manager, was quoted as saying in a media report. ExxonMobil, headquartered in the US state of Texas, is considered one of the largest publicly traded international oil and gas company, using technology and innovation to help meet the world’s growing energy demands, reported Emirates news agency Wam. 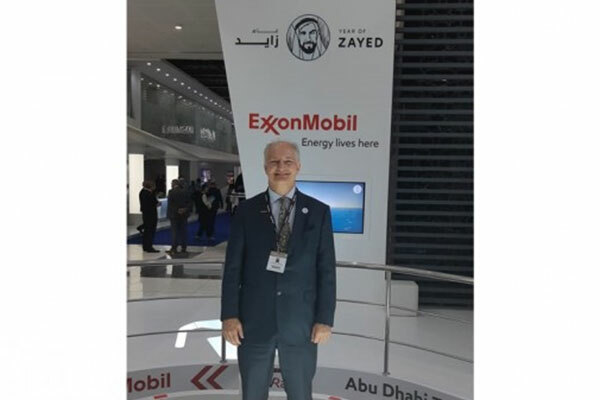 "Since 2006, we have provided some 8,000 days of training in the ExxonMobil technical training curriculum for Adnoc and its joint venture operating companies to develop their local resources and build their capacities,” Lenoble told Wam on the sidelines of the 21st edition of Abu Dhabi International Petroleum Exhibition and Conference (Adipec). “ExxonMobil is also providing developmental assignments for the UAE nationals in the ExxonMobil organisation, allowing them to gain hands-on experience of our processes, technologies, mentoring and best practices sharing. "As part of our agreement with Adnoc, we spent a lot of time on mentorship. We have developed a technology centre at Adnoc Offshore building. We’re using state-of-the-art technology, virtual reality, reservoir simulation with our experts coming here to share their experience," he added. He also said that the Abu Dhabi National Oil Company’s growing focus on the downstream industry is impressive, praising its vision aimed at maximising value across the value chain, not only crude oil, but also gas and petrochemicals. He added, "It’s a very ambitious goal; but we are confident the capabilities we are seeing in the UAE will deliver it. Doubling the refining capacity in Ruwais and tripling the petrochemical capacity will be a great achievement to secure such a growth." The UAE Lead Country Manager of the multinational oil and gas corporation has also confirmed the oil giant’s determination to ramp up investments in the UAE over few years. "We are looking for opportunities with Adnoc and trying to develop solutions that can bring value to the UAE and obviously to our company in ExxonMobil," Lenoble said. "On Upper Zakum, which is the biggest offshore field in the world, we are going to significantly increase production over the next five years. There will be significant increase in investments, and we are looking forward to partnering further with Adnoc on the Vision 2030. Part of this partnership is focused on human resources. Lenoble lauded the growing importance being attached by Adnoc to digitalisation, noting, "The digital era presents a growing opportunity to make the exchange of information with our customers and our supply exchange partners more efficient. I’m very impressed by the level of technology utilised by Adnoc in terms of digitalisation, artificial intelligence and optimisation of capital and human resources."